The regular season just ended, for three of our own SP lifeguards, Jacqueline Dominger, Julia Horan and Paige Kolar. 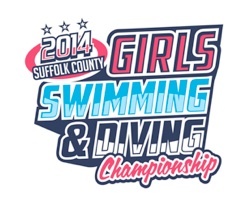 Dominger became the Suffolk County Champion in 200 individual medley hitting a 2:08.10 mark. Jacqueline also placed second in 100 butterfly (57.74)! Julia Horan took 2nd place in 200 freestyle with a time of 1:57.46 as well as another 2nd place in 100 backstroke (57.75)! With their performances, Jackie and Julia, earned a trip to Ithaca Aquatics Pavilion to compete at the New York State Championship. Paige Kolar finished 8th and 5th in 200 and 500 freestyle respectively. All three girls earned All-County and All-League post season awards!